So, going into today, we were hoping that we'd be given a lot of details about the game, like "how's it play," "what's it doing for loot," "what's the co-op like." While we got some answers, there was more of a focus and discussion about the world of Anthem itself and how it was being developed/created. Humans have taken residence on another world where "the gods harnessed the Anthem, a source of pure creation... but before their work was complete, the gods vanished leaving behind an unfinished world strewn with the instruments of their creation." (The moral here is to always finish what you started.) Humanity has managed to survive by constructing exosuits called "Javelins," and a group of Javelin users - called "Freelancers" - fight against bad humans (the "Dominion") who seek to control the Anthem and use it for nefarious schemes. There are four different types of Javelins (the Ranger, Colossus, Interceptor, and Storm), but as BioWare highlighted during the presentation "you're not your suit;" meaning it sounds like while you can customize and outfit a particular class of Javelin, you're free to swap between them. The presentation ended with a gameplay demo highlighting some cooperative action. A group of players fought some creatures called "Scars," then avoided fighting a giant "world-event monster" called a "Titan," and finally fought some more Scar in order to reclaim a relic. From a gameplay perspective, Anthem bears a striking resemblance to Mass Effect: Andromeda, i.e., third-person, over-the-shoulder shooting. There's also a certain familiar quality to the jump packs that allow you to fly/hover, and the special abilities that are unique to each Javelin class. That's not entirely a bad thing, but it does make me a bit wary of how the final thing will control/feel as Andromeda wasn't exactly "tight" on its controls. The whole thing wrapped up with a release date reveal: February 22, 2019. Pretty early into the new year, but it also falls a few months after the sheen of "Year 2" of Destiny 2 has a chance to wear off. 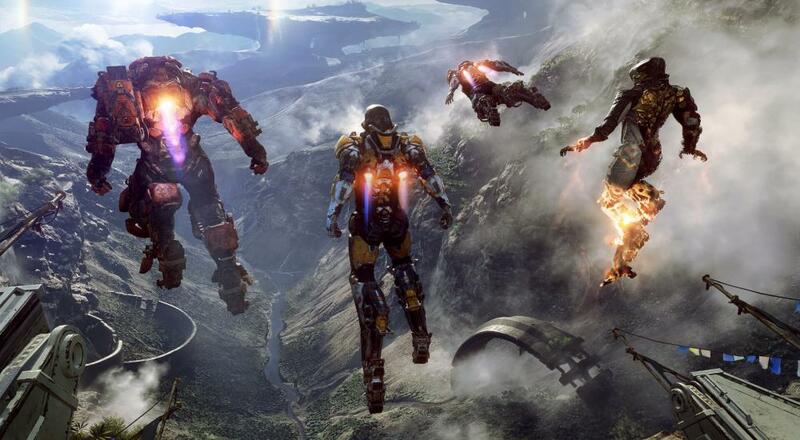 Anthem will be available on the PC, PlayStation 4, and Xbox One when it releases next year. Four player online co-op will be supported in the game.